Autodesk begins its annual week of rest today, so the blog will also be taking a few days off. 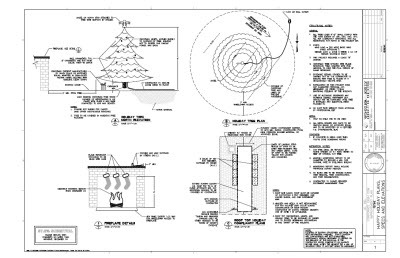 I’ll leave you with a little engineering- and holiday-themed humor: the engineer’s Christmas tree. It’s been around for a few years at least, but is still good for a laugh or two. Happy Holidays, and I’ll see you back here in 2011! AU 2010 – It’s not over yet! 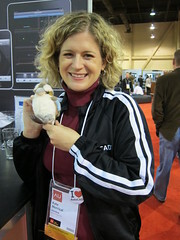 Autodesk University 2010 in Las Vegas may have come and gone, but that doesn’t mean the learning has to stop! Not only are there tons and tons of classes available on AU Online, but there’s also Autodesk University Extension. These live events, hosted by Autodesk partners, are taking place all over the world through mid-February, so there’s a pretty good chance there’s one near you. The AutoCAD WS team sure is keeping busy! Last week, they released version 1.1 of the mobile app. This week, it’s the web version’s turn. Visit www.autocadws.com and you’ll notice a lot of changes both big and small. Haven’t tried AutoCAD WS yet? What are you waiting for? Even if the boss hasn’t sprung for an iPad yet, anybody can use the web version for storing, viewing, and collaboration. I promised you that the material from Autodesk University 2010 would be available soon after the end of the conference, and sure enough, here it is. Virtual class recordings, live class screencasts, keynote addresses, handouts, presentations, datasets, and more are now up available for you to continue your learning experience. AU 2010 Las Vegas attendees, Autodesk Subscription customers, members of the Autodesk Education community, and AU Virtual 2010 Premier attendees can access all of this new online class content. All AU Online members can access the entire library of class handouts, listen to podcasts of all classes, and watch screencasts of a selection of AU 2010 classes. We made the announcement about AutoCAD WS 1.1 last week, and today it’s available for free in the iTunes store. Well, Autodesk University 2010 is now in the books and I’m home again. In most ways things are back to normal – I’ve mostly readjusted to the Eastern time zone, I’m caught up on e-mail, and I no longer feel a compelling need to drink a glass of water every ten minutes – but really processing all the things I learned & saw last week will take a little longer. As of my last post, I’d caught you up through Tuesday, so now it’s on to Wednesday and Thursday. Day 4 of my AU 2010 kicked off at 9:30, helping out with a lab on tables run by Jeanne Aarhaus. After that, I should have gone to an AutoCAD for Mac lab and then to observe an AutoCAD LT focus group, but instead I ended up pinch-hitting as an interviewer for some customer videos for the AutoCAD Exchange. I had a great time talking to Jay Mezher about Parsons Brinckerhoff and the virtual city they’ve created for Seattle, then to Yoshi Honda about elements of CAD Standards and how they have evolved over the past few years. Then I filmed some tips on my own, about AutoCAD LT and Windows 7. Look for all of these on the Exchange in the near future. The last class on Wednesday’s schedule was my Product Clinic for AU Virtual. Attendance was a little low, but I’ll attribute that to the fact that it didn’t start until 7 pm Eastern. I hope that everyone who was there enjoyed the presentation, though. Finally it was off to the exhibit hall, where once again I talked about AutoCAD WS until I was hoarse. It was great to see such a good reaction to it, though! Especially when we started with the live demos of real-time collaboration: add a circle to a drawing on one iPad, and a few seconds later it showed up on the other iPad! Even when you know what’s coming, it’s still really neat to see. Wednesday was also when I met Betsy Weber, Chief Evangelist for Techsmith (makers of Camtasia and Snagit, software I use on a daily basis) and joined the official Techsmith Spork Club. Sadly, I don’t have any pictures of me with any of the other friends, new and old, that I saw at this year’s conference. Many of them do, though, so perhaps I’ll have some time soon to browse through the AU Flickr stream and find some of them to post. I met a lot of blog readers, some twitter followers, and plenty of people that I only knew electronically before this year. I had expected Thursday to be my most stressful day at AU, with two live presentations and three lab-assisting sessions. As it turned out, Thursday went great and it was Wednesday, with all its last-minute schedule changing and rearranging, that was the week’s steamroller. The plotting lab I taught in the morning went pretty well, although I’ve already received several comments that I went too fast. I had been worried about the pacing, trying to strike a balance between getting everything in and making sure people could keep up, and it seems I might have to tweak that a little for next time. But overall the reviews were positive. Two of the labs I assisted in were on dimensioning, and the third was AutoCAD for Mac. That one was especially fun to watch, as people explored the new interface and learned about the similarities and differences between the Windows and Mac versions. My last AU task was the live version of “Hey, I Never Knew That!” that I’d already presented as a virtual class. It was a different kind of presentation for me, since I used PowerPoint exclusively instead of demoing in AutoCAD. Since I wasn’t switching applications, I put my notes on my iPad and used that to present instead of sitting at my computer. It worked great, except when a Twitter alert showed up! Somebody in the class put up a tweet that tagged me, so it popped up on top of my presentation notes. I just closed it (no one but me could see it) and moved on, but it was pretty funny to laugh about afterwards. Next time, I’ll remember to turn on airplane mode before I present. I’ll leave you with a couple pictures of some of the goodies that came home with me from AU. Trade shows in general are just stuffed with giveaways, and AU is no exception. As an employee, I don’t pick up as much as I used to, but I did get a couple of nice things anyway. You already saw the kookaburra and the spork, but I also got two keychains from my Brazilian friends Assis Haubert and Luciana Klein. The AutoCAD team started an “I <heart> AutoCAD” campaign earlier this year, and the buttons were such a big hit that we had to do it again at AU. The team wore the small silver buttons, and we used various sizes of the white buttons as our booth giveaway. They were (of course) very popular! I also picked up one of the famous AUGI beer mugs from the annual Beer Bash – it has the 20th anniversary logo on it, which makes it even more special. Twenty years…congratulations, AUGI! It’s a 4-port USB hub, and if you think it looks like a toy, you’re right – it’s a Tangle Hub, modeled after the popular Tangle toys. Each color on the hub can twist around to face a different direction – you can make a circle, or a straight line, or almost anything in between. Isn’t it great when practical things can be fun, too? Well, I guess that’s about it for AU 2010. But just because the conference is over doesn’t mean the learning is! AU Online is stronger than ever, and the 2010 classes will be added to the archives soon. Anyone can download the handouts for free, and Subscription customers and AUv Premier Pass holders can watch screencasts and other recordings all year. What a week it was – hope to see you in Vegas next year!